It's no surprise how much I love DownEast. Most of our furniture and lots of our decor is from there. 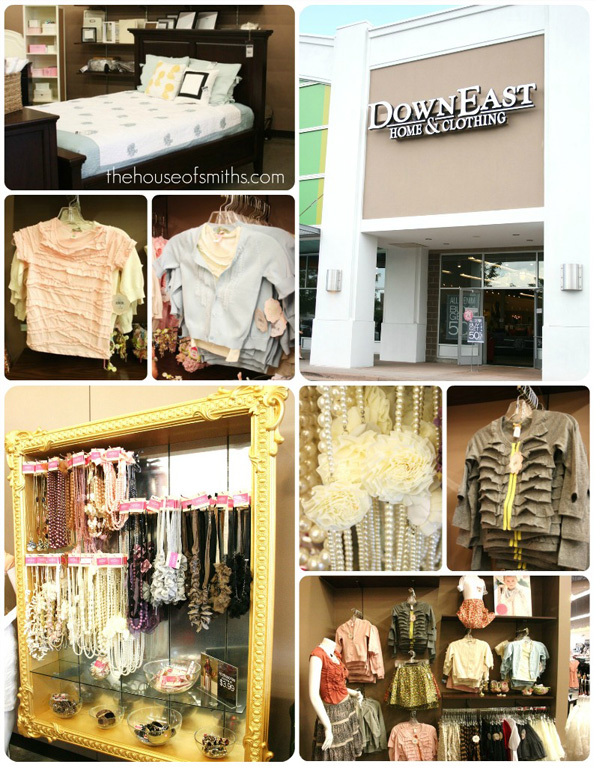 So I just wanted to give a heads-up to my Utah peeps, that there is now a DownEast clothing and home in West Jordan! It's at the Jordan Crossing Shopping center on 7119 S. Plaza Center Drive. During their grand opening they are doing a "Shopping is more fun with your Girlfriends Giveaway", that starts today and goes through August 5th. To enter, you just have to visit the store to sign up, for a chance to win a $200 shopping spree for you... and also $50 each, for a few of your friends! You can check out more info on their Facebook page. Well, in honor of the "shopping with your girlfriends" event, I decided to take a little trip down, with MY best girlfriends, to check out all the great sales and home decorating goodies that the new DownEast had to offer. There is definitely some great stuff! I was dying over the color scheme of the above bedding. La-la-la-LOVED it, and would have snatched it up in a second if I actually had a bed that size, for it. Anyway, just a quick little reminder to checkout this new store, if you're down that way. Thanks for sharing...I would never have known (don't head out that way very often). I want a DownEast store so bad in Oregon!!!! We have a store called Real Deals that carries some of their stuff...I LOVE all of it! What fun! I wish they would open a DownEast Home store here in AZ. I SO wished I lived in the UT area! Oh my word! 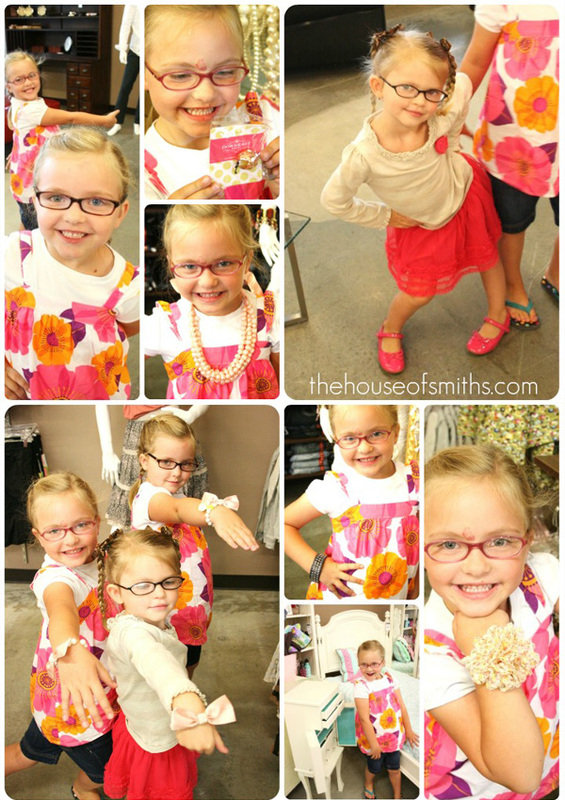 How could you not buy those adorable little girls everything they wanted?!! The cuteness is killin' me! I am so jealous! I love Downeast. Now you just need to use your awesome powers of persuasion to get them to open a store in the Nashville area and I will be one happy lady! I'm sad because we have a Down East but it only sells clothes! 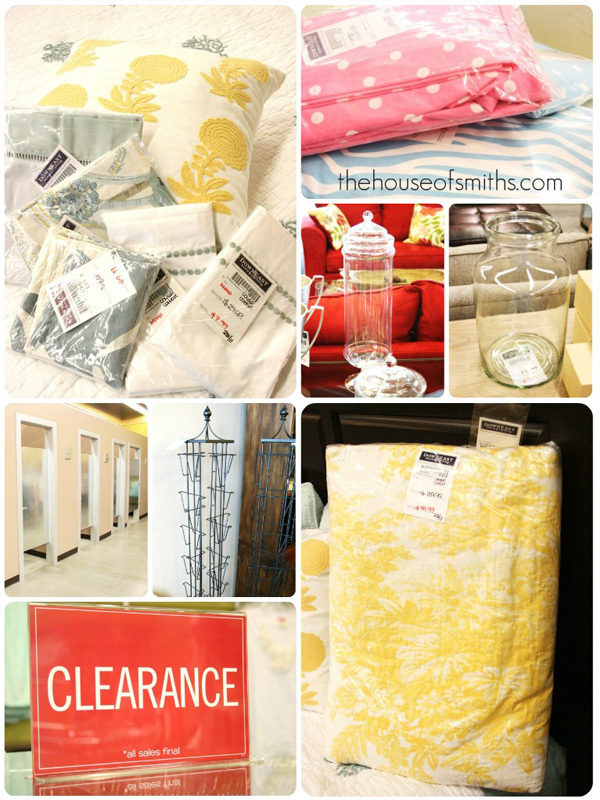 I had no idea they sold home stuff! thank you for sharing I'll have to check out their website!! Im SOOO excited! You can never have enough Down East stores.... I'm going there soon.... VERY SOON! OOooh, we are getting one at a nearby mall here in Washington. I'm so excited. I didn't even know they had furniture though. I hope our store does too! Oooh love that color palette! found your blog through House of Fifty and love it :). So jealous! I just found a DownEast store by my house and cannot wait to go back home to check it out. Where is Jordan Crossing? Anywhere near Jordan Landing?